This is an exciting combination of services to create the best available selection of watersports equipment in San Diego available for rentals and retail purchase. The SUP Connection began providing San Diego with a first class on the water experience in 2012. The SUP Connection has paddleboard and kayak rentals, SUP Lessons, SUP Pups Instruction, paddleboard demos and more. They offer the best equipment along with amazing service. All of the SUP’s are Bounce Composite boards which are tough, high-performance boards. Riders can expect superb surf performance as the board remains lightweight with excellent maneuverability. Visit The SUP Connection for the ultimate on the water experience. The business is open seasonally on the waterfront in front of the Courtyard Marriott Liberty Station in Point Loma. 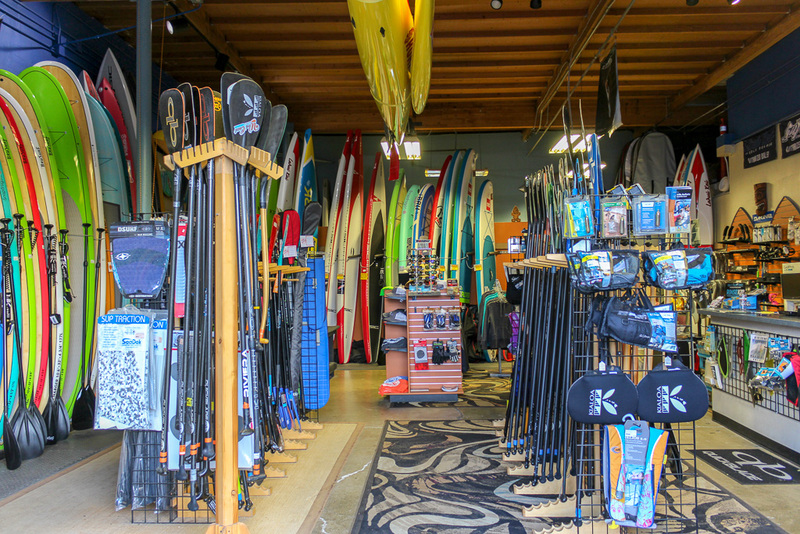 West Coast Paddle Sports opened it’s big roll-up door for business in 2011. At over 1,800 square feet with 16 foot ceiling in a warehouse setting, West Coast Paddle Sports offers the finest boards and paddles from some of the leaders in the Stand Up industry. There is a work space for customizing paddles and deck pads and making sure all your needs can be handled in a clean and professional environment along with plenty of space for packing and shipping as well. The shop has become a destination for group gatherings as we can offer space for after-paddle get togethers and video screenings and even lecturers. West Coast Paddle Sports is proud to be a part of the Stand Up Paddle family.